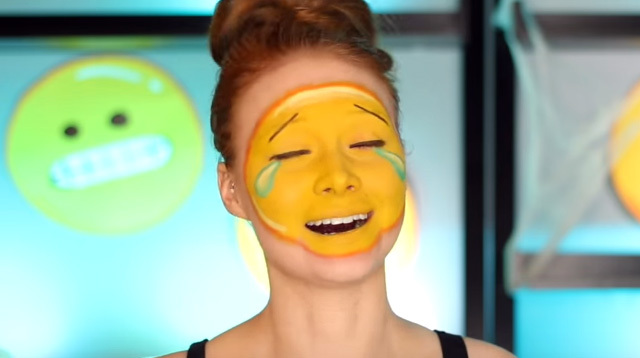 If there's one thing we love about Halloween season, it's all the crazy–but super genius–makeup tutorials that come out on the Internet. Clever, right? After watching it, we're pretty convinced that we should go as emojis on October 31. The makeup isn't too hard to do! Plus, we'll only need to buy yellow face paint because the other products she used are already in our kikay kits.